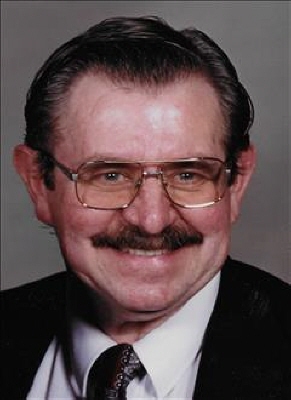 Larry Goodwin, 77 of Sharon went home to be with the Lord, November 28, 2018. Memorial services will be held at 2:00pm Monday, December 3, 2018 in the Woodward First Baptist Church with Reverend Tony Barros officiating. A private family interment will be held at a later date. Services are under the direction of the Billings Funeral Home. Larry H. Goodwin was born on March 24, 1941, to Clyde and Rose Goodwin in Isabelle, Oklahoma. He attended Pond Creek High School graduating in 1959. He joined the United States Navy in 1962, serving on the U.S.S. Jason. He was honorably discharged from active service to the Navy Reserve in 1964. Larry met his wife, Carolyn Jane Carson in 1965 and they were married on August 20, 1965. They raised five children, Larry, Jr.; Kristi; James; Jana; and Ty. Larry started working for Enid Typewriter Company in 1966 and retired from ETC in 2005. Larry accepted Christ as his Savior as a teenager. He was a longtime member of the Woodward First Baptist Church, where he served as Deacon. He also enjoyed driving the church bus for various groups. Larry was also active in the Tri-State Ham Amateur Radio Club. He received his call, K5LHG in the early nineties. Larry is survived by his wife of 53 years, Carolyn Jane Carson Goodwin of the home; three sons, Larry Jr. Goodwin and wife Marti of Blanchard; James Goodwin and Melissa Wilkerson of Sharon; Ty Goodwin of Blanchard; daughter, Jana Belis and husband Hank of Sharon; three granddaughters, Kaylee, Hannah and Gabriella; four grandsons, Ethan, Jr., Nathan, and Zander; sister, Patsy Embree of Red Oak, Texas; numerous nieces, nephews other family and friends. He was preceded in death by his daughter, Kristi L. Sherrill; his brothers, Leon and Ray; his parents, Clyde and Rose. To send flowers or a remembrance gift to the family of Larry Goodwin, please visit our Tribute Store. "Email Address" would like to share the life celebration of Larry Goodwin. Click on the "link" to go to share a favorite memory or leave a condolence message for the family.